How can services be delivered to maximize recomposition when enterprise-wide standardization is not possible? Establishing an single enterprise service inventory may be unmanageable for some enterprises, and attempts to do so may jeopardize the success of an SOA adoption as a whole. 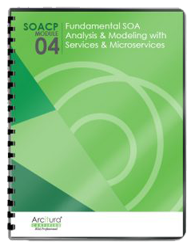 Services can be grouped into manageable, domain-specific service inventories, each of which can be independently standardized, governed, and owned. Inventory domain boundaries need to be carefully established. Standardization disparity between domain service inventories imposes transformation requirements and reduces the overall benefit potential of the SOA adoption. 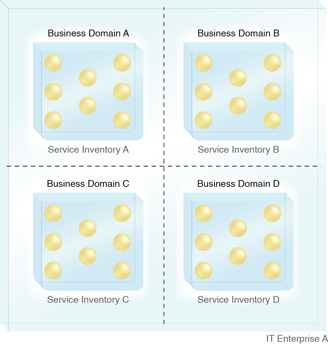 An enterprise partitioned into domain service inventories, each representing a pre-defined domain.